Windows and Vista Media Centers are a great option for anyone wanting to turn their computer into a home theatre PC. Their interfaces look nice and they are easy to use. Get the most out of it by viewing all your music and pictures, or even schedule recordings, while you are away from home. Having researched a number of programs designed for this task (and having very limited success with them) I had been using Remote Desktop to schedule recordings when I was away from home. That was until I read a detailed article from Lifehacker showing us the inner workings of Webguide. This article has plenty of helpful tips and screenshots to guide you through it. 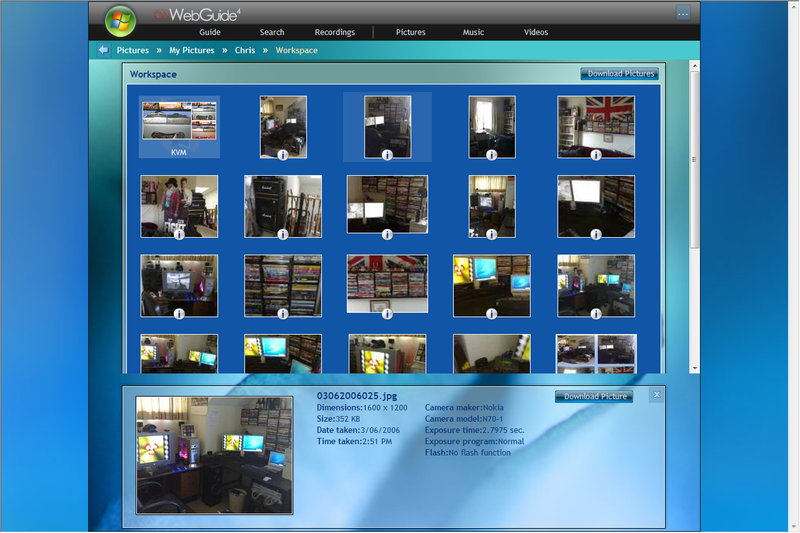 Webguide is accessed through a web browser and delivers a powerful set of features. You are able to view pictures, stream music and movies. You can even remote control your Media Centre all through the web interface. My favourite feature would have to be the ability to schedule recordings while on the road. Webguide was much easier to install than any of the other web control systems I have tried. There is no need to install Apache as Webguide comes with its own web server. It all works straight out of the box if you are using it on a local network. Making it accessible from computers that are not on your local network is a bit more challenging. You will need to setup port forwarding and install IIS, but there are enough instructions available to get you going. I recommend giving this one a go. I am already enjoying the freedom Webguide offers. I encourage you to read Lifehacker’s article in parallel with the FAQ of the Webguide website to make the install easier on you. And yes, of course Webguide is free.